University of Oklahoma sports fans will be able to listen to live streaming and on-demand audio broadcasts for free this season as OU and its multimedia rights holder, Learfield's Sooner Sports Properties, announced Wednesday a multi-year partnership with TuneIn, the world's largest audio network. The new streaming agreement between Learfield and TuneIn provides Oklahoma fans complimentary access to a dedicated Sooner Network channel to find game action and related OU sports programming. TuneIn will air live football and men's basketball games, as well as coaches shows, at no cost. TuneIn's Sooner Network channel will also air live select women's basketball, baseball, softball and other game broadcasts throughout the season. 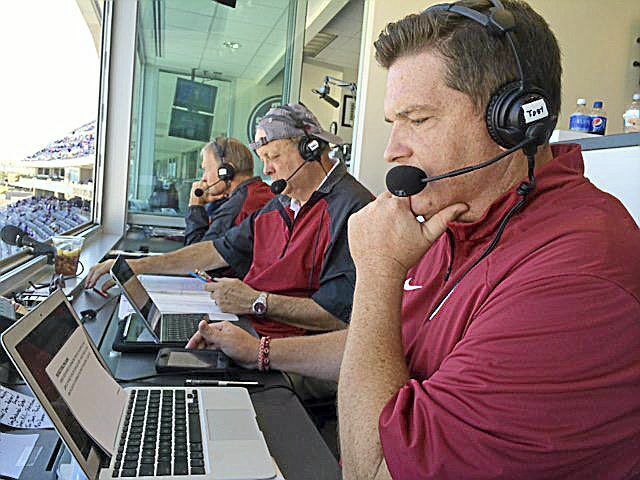 All OU athletics events that are broadcast via radio will be available for free via TuneIn, SoonerSports.com or a Sooner Sports Network affiliate's website. Specific radio broadcast information for each event will be communicated via SoonerSports.com. "Our ability to now offer Sooner fans around the world free access to audio broadcasts of many of our athletics events, including all regular season football and men's basketball games, is extremely exciting for us," said OU Vice President and Director of Athletics Joe Castiglione. "We're grateful for our partnership with Learfield and TuneIn, as we're constantly seeking ways to inform and engage our great fans. Providing access to live OU audio in this unprecedented manner is a win for everyone." In the event of a university broadcast conflict, TuneIn will air the event determined by OU Athletics. TuneIn will also air any postseason broadcast in which Learfield and OU retain the streaming rights. TuneIn has the most comprehensive free college football coverage in the industry with hundreds of live games from every major conference, including the ACC, Big Ten, Big 12, Pac-12, SEC, AAC, MAC and WAC. TuneIn will continue to carry every play-by-play broadcast and additional shoulder college football content from nearly all Top 25 ranked programs. At the start of the season, fans can simply search for their school on the TuneIn app or visitwww.TuneIn.com/collegefootball. TuneIn is available for download on iOS and Android, as well as on more than 200 connected devices.